A ridiculously fun yet incredible biographical adventure inspired by real events, American Made is a mad dash across a warped corner of the Cold War. 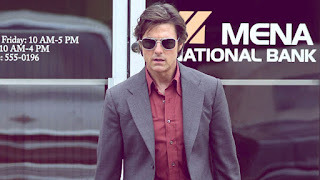 It's the late 1970s, and Barry Seal (Tom Cruise) is a restless TWA pilot based in Baton Rouge and married to Lucy (Sarah Wright Olsen). Always on the lookout for adventure, Barry is recruited by the CIA's Schafer (Domhnall Gleeson) and agrees to start flying covert missions over Central America to photograph communist rebel bases. He establishes a daredevil reputation, connects with a Colombian drug gang (including the soon-to-be notorious Pablo Escobar) and starts to smuggle cocaine onboard the CIA plane, with stopovers in Panama where a young Manuel Noriega gets a cut. When Barry gets into trouble with the Colombian authorities, Schafer intervenes and offers a new mission: flying guns to the Nicaraguan Contras, a ragtag militia supposedly waging a counterrevolution against the Sandinista government. The CIA relocates Barry and his family to the tiny community of Mena, Arkansas, where he is soon running his own airline, fulfilling the CIA's wacky anti-communist missions but getting insanely wealthy with his expanding drug smuggling enterprise. 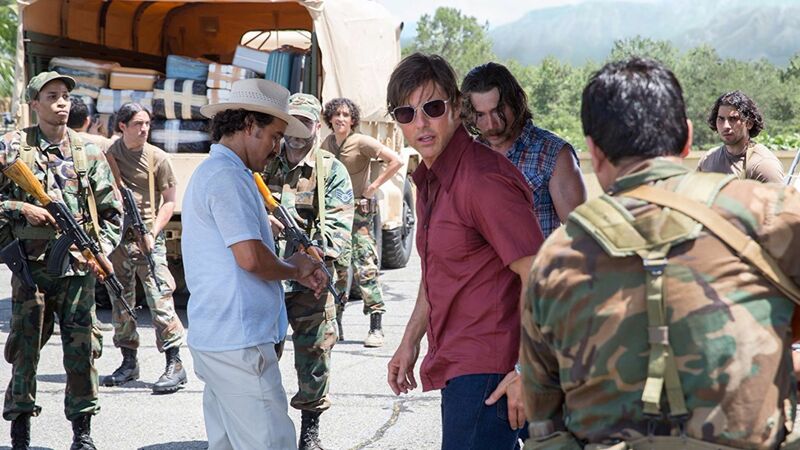 Inspired by real people and events, American Made is an it-should-be-too-wild-to-be-true romp through the world of covert CIA missions as the Cold War disintegrated into batty dirty wars. The film is also a fictionalized profile of the actual Barry Seal, a thrill-seeking pilot who found a home in the CIA's anything-goes approach to espionage, and could never resist a little something extra on the side for personal gain. Director Doug Liman has a personal interest in this slice of history. He is the son of lawyer Arthur Liman, chief counsel for the Senate Iran-Contra hearings. As a result American Made is more patient with historical facts than is typical for Hollywood; the film pauses at the right times and for the right durations for Seal to explain the raging geopolitics and mission logistics, and it's all done in a humorous yet effective tone. The pace is furious and rich with content. While painting a vivid contextual picture of the times through real footage of Presidents Carter and (especially) Reagan on television selling a sterilized version of the real story, the film gallops from one incident to the next with confidence. Seal hops furiously between hidden Colombian airstrips in the jungle, airdrops over the Louisiana swamps, stopovers in Panama, ramshackle rebel bases in Nicaragua, his rapidly unraveling home life with a wife, kids and troublesome brother-in-law JB (Caleb Landry Jones), and still finds time to build a multi-plane contraband business while evading a host of law enforcement departments. 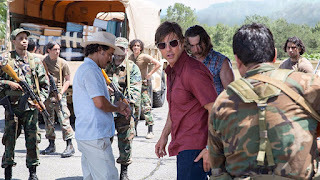 Tom Cruise is at his charismatic best, the role of Barry Seal fitting his screen persona like a glove: fearless, mischievous and able to talk his way out of most hellholes. Domhnall Gleeson ghosts in and out of the film as only a spy can, while Sarah Wright Olsen gives the long suffering Lucy just a bit of a memorable edge. 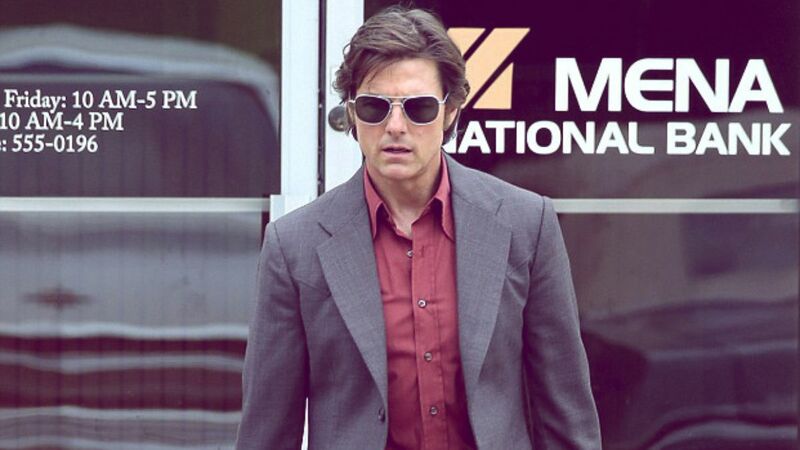 American Made features plenty of harrowing flights, but the film is an exquisitely smooth trips.